Jumbo polyester stems. 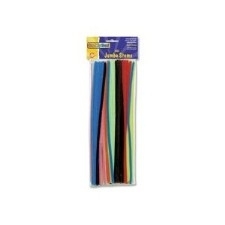 Bendable chenille covered wires add fun to a craft project. Use to make flowers, stems, animals & much more. Bright colors make crafts pop. Reusable. Pack of 100 assorted colors.